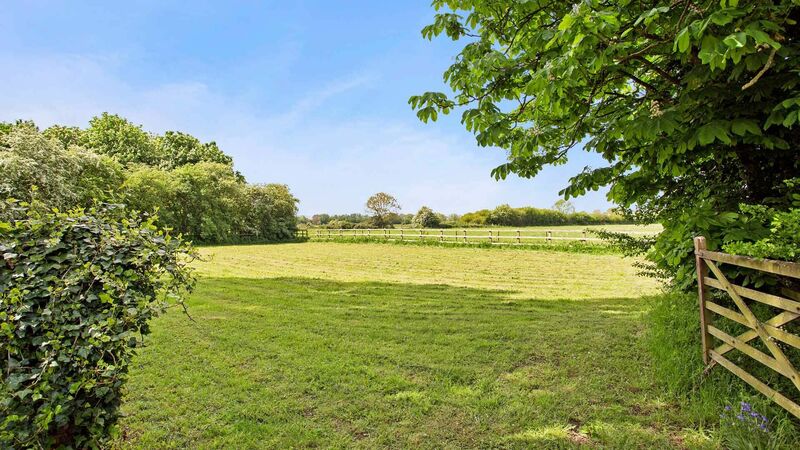 Brook Cottage is a beautifully refurbished three bedroom holiday home set in the idyllic and secluded grounds of a private estate situated only 2 miles from Eynsham and close to the iconic city of Oxford. The dog friendly cottage benefits from miles of footpaths and bridleways to explore from the doorstep. With a gorgeous country kitchen and large private back garden, it is perfect for a family break. There are equestrian facilities too if you want to bring your own horse - please do enquire. Downstairs cloakroom and porch – perfect for mucky boots! Dogs are welcome at Brook Cottage and equestrian facilities are available, please ask for details! We’ve loved staying at Brook cottage. It’s a very special place. The cottage is really cosy. The big kitchen is a real bonus. The countryside and wildlife has been wonderful, we’ve enjoyed walks to the river and around the farmland and always see something interesting. Highly recommend. The cottage is lovely! Beautifully decorated and a great place for our weekend away as a group of 6 friends. Communal spaces are great, beds all comfy and the location was perfect for walks. The house is amazing, it’s big with a lot of facilities, very clean and beatiful. The hosts are very friendly and nice, they helped us in everything and made our holiday very special. Beautiful house in idyllic location. Perfect for a relaxing weekend in the countryside and the treats on arrival were a great touch. A really lovely space for a weekend. Big thumbs up from us! Prices stated are based on an occupancy of up to 6 guests. An additional supplement of £75 per person will be applied, up to the maximum occupancy of 8. Please contact us for further details regarding additional occupancy as it is subject to sleeping configurations and permission. Eynsham is a bustling village half way between the iconic city of Oxford and Witney, offering easy access to the A34 and A420, both within 4 miles. The stations at Long Hanborough (3 miles) and Oxford Parkway (under 5 miles) connect to London in just over an hour. The village boasts numerous public houses, local restaurants and takeaways. There are a number of beautiful country walks from the doorstep and is an excellent location to explore everything the Cotswolds has to offer!